Screenshot used by discredited milblog site "This Ain't Hell." The milbloggers in their attempt to say I did not see combat took a post from my facebook about one specific event, after the Desert Storm ceasefire, that I was recollecting after a newsfeed post popped up to say it was the closest I had seen to combat. 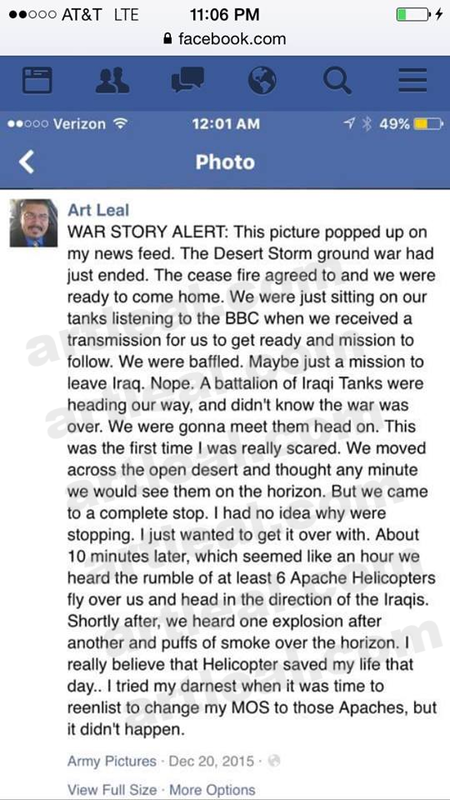 I prefaced it with "War Story Alert" in a metaphoric sense as I recollected.